There are several things you should take into consideration when you take care of your massage stones. Sanitation is the most important factor and must never be neglected. I wrote about general hygiene a while ago, and will here share the official guidelines from the Geothermal Therapy Association. They have worked with Centres for Disease Control to come up with recommendations for stone massages. In short, only use each stone once and clean them by the end of the day. Or use chlorine tablets in the hot water and use pure alcohol to clean cold stones before returning them to the cooler. You can read a detailed overview in the Massage and Bodywork Professionals forum here. Looking apart from sanitation there are other aspects which you must pay attention to when you take care of your stones. The stones should feel smooth and soft after cleaning. Oil and grease which might stick to the surface must be removed. Sticky stones are just as disgusting for the client as dirty sheets. So make sure that you wash and scrub them properly to clean the surface and not only for health reasons. If stones are really dirty from long use and improper care, they can be tossed in the dishwasher or in extreme cases be cleaned with chemicals. Finally there’s the spiritual and natural aspect to the stones. Remember that they’re considered living beings – the Stone Tribe – by the Native Americans and they should be treated with respect and honour. Stones which are not treated right will eventually stop holding the heat and become unpredictable no matter how good your heater is. They become “dead”. They just don’t feel the same. I’ve experienced this with stones used by people who have no respect for them nor knows how to treat stones. 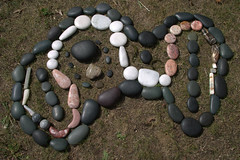 Ideally, after each use the stones should lie on the ground and soak up sunshine. This allows them to recharge their energies and give to Mother Earth what they took from the person they’ve been working on. From a more scientific point of view, what happens is that the stones get a chance to reset to their natural state. There is quartz and iron in the stones which is affected by the magnetic field, by temperature and the heater. The sun warms the stones, enhancing the process. Of course, this is not possible or practical for most practitioners and we have to adapt and adjust our rituals accordingly. Being honourable and treating the stones with respect goes a long way, but once in a while they do need to recharge. 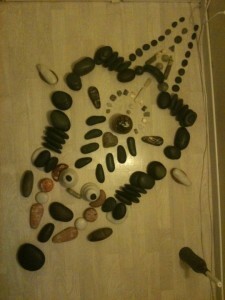 When you can’t place your stones outdoors in sunshine every day, the next best is on the floor indoors. If not every day, then every week or every month. Give your stones a vacation and allow them to release what they do not need. I have a client who pointed out to me that my stones needed to be recharged – him not knowing anything about the stones and their spiritual aspect. He simply could tell that they weren’t as potent as previously. No need to say that I as soon as possible lugged all my stones back home and gave them a long vacation on the floor over the midwinter holidays.